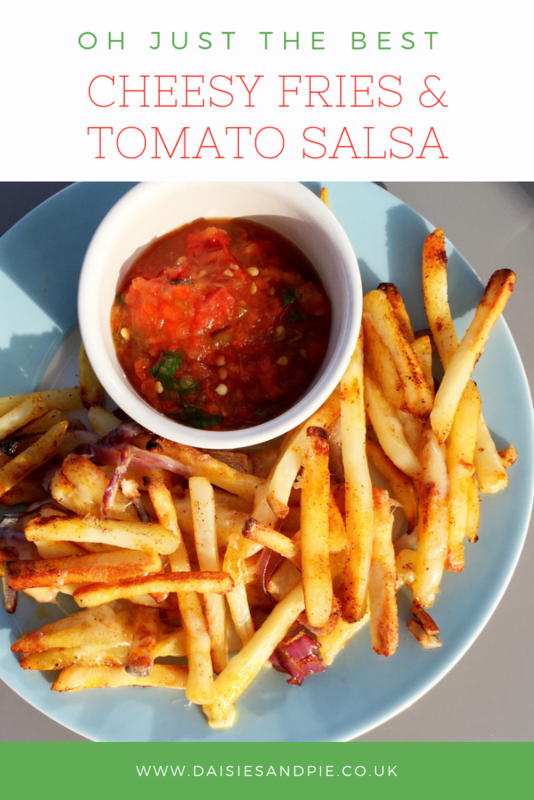 Cheesy fries and salsa are a delicious Saturday night TV snack, the kids love these, I love them, they are so very right! Once they’re cooked remove the tray from the oven and scatter over as much or as little grated cheese as you like. A good strong Cheddar cheese works well. Put the chips back into the oven for 1-2 minutes until the cheese is all melty. Heat the oven to the temperature on the oven fries packet. 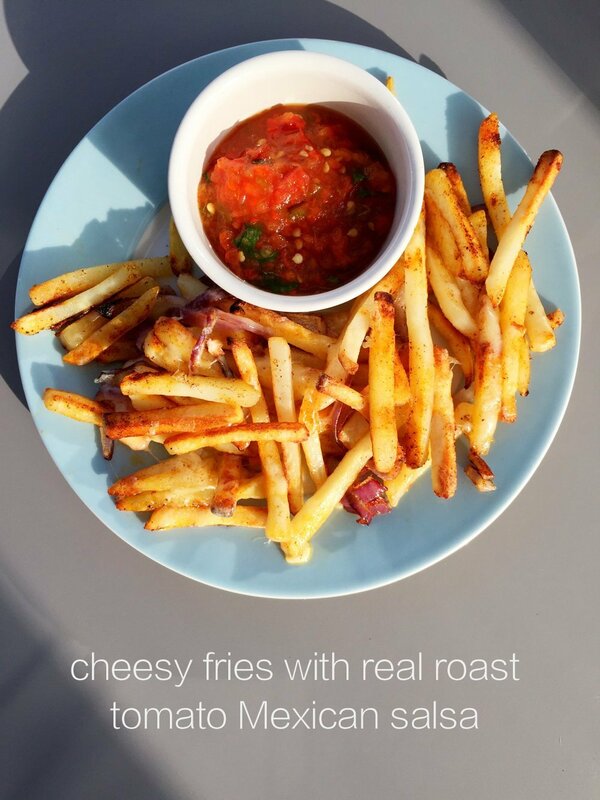 Spread the fries onto a baking sheet in a single layer, scatter over sliced onion, smoked paprika and chilli. Cook in the oven for the time recommended on the oven fries packet. Remove fries from the oven, scatter over the grated cheese and return to the oven for 1-2 minutes until the cheese is melty. I always serve these with proper roast tomato Mexican Salsa. I make this fresh a couple of times a week, one because its just so easy and cheap and two because that veggie packed salsa all counts towards your 5-a-day and when feeding kids this is always something I think about. It’s great for dipping veggie sticks into, tortilla crisps, bread sticks and quesadilla as well as cheesy chips! To make up a batch of salsa you’ll need 3 large vine tomatoes, 1 red pepper and a green chilli (more if you like things hot). The vegetables are roasted in the oven, no oil, just allow them to soften and start to char for around 20 – 30 minutes. Then pulse them in the blender with the juice of lime and a handful of fresh coriander. 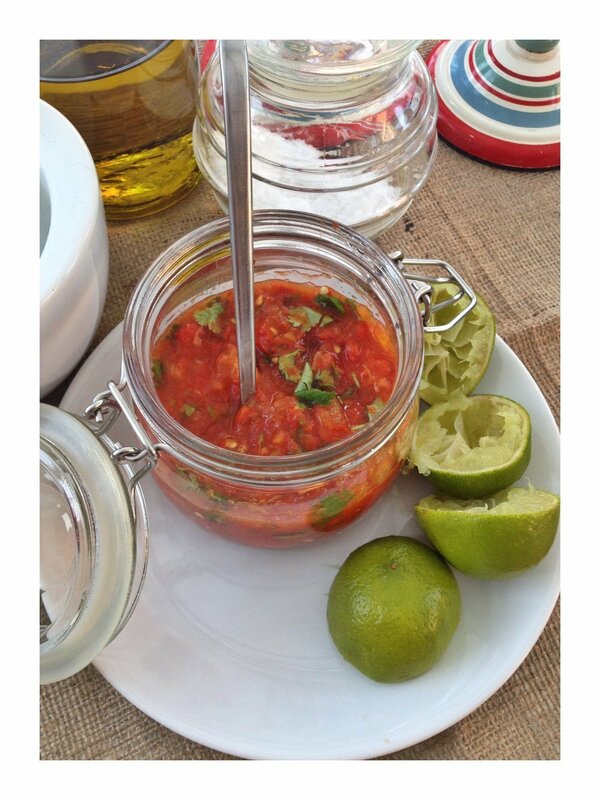 You can get the Mexican Roast Tomato Salsa Recipe here. fancy some meat – add discs of pepperoni or shredded ham with the cheese. go Indian and switch the smoked paprika for ground cumin and dip them in mango chutney.